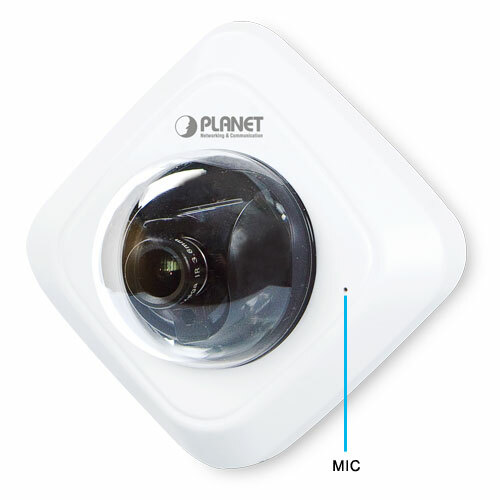 PLANET ICA-4130S Ultra-mini IP Camera with PoE is designed for easy installation with versatile functions. The camera features 1.3 mega-pixel CMOS sensor and supports H.264, MPEG-4, and M-JPEG compression formats to deliver excellent picture quality for different applications. Integrated with SIP/VoIP protocol, the ICA-4130S provides more aggressive and efficient solution to dealing with event triggers via video phone. It is perfect for remote and discreet monitoring of indoor areas such as homes, small businesses, boutiques, stores, offices, communities, restaurants, hotels, residences, healthcare facilities, etc. 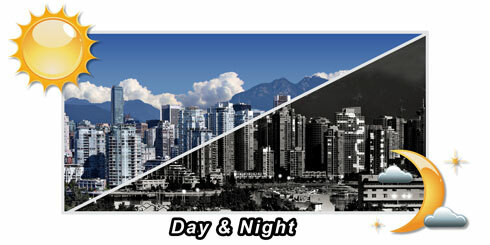 The ICA-4130S brings the clearest vision at night by featuring 0.5 lux illumination and day/night mode switching. It offers color, and black and white pictures both in the daytime and nighttime with the built-in CMOS sensor supporting up to 5~10 meters. The ICA-4130S also provides exposure settings like exposure level, exposure time for more flexible adjustment. Together with powerful image processing attributes like Backlight Compensation (BLC) and 3D Digital Noise Reduction (3DNR) technology, the ICA-4130S is able to adjust the exposure of the entire image to properly expose the subject in the foreground and remove noises from video signal. Thus, it brings an extremely clear and exquisite picture quality even under any challenging lighting conditions. The E-PTZ function built-in with the ICA-4130S enables users to capture the full image in the record while doing PTZ digitally on live view. Users can instantly manipulate the view and can zoom and move about the webcam image with no delay. Meanwhile, there is never a queue since the camera does not need to move when compared with PTZ camera. The ICA-4130S features industry-led SIP/VoIP for audio, alarm, intercom and video streaming for mobile phones and video phones. When the event is triggered, the administrator can receive alarm, video even audio via video phones. Besides, the administrator is able to view status of remote site via video phone, SIP embedded mobile phone, smart phone, PC… aggressively at any time. With this function, the ICA-4130S provides more instant, efficient response method to deal with events or prevent events from happening, when compared with other even actions (FTP, Email, SD Card, etc.). The ICA-4130S incorporates IEEE 802.3af Power over Ethernet standard and able to be powered via the network cable from a PoE power sourcing equipment such as PoE Switch and PoE injector. It thus eliminates the need for extra power cables and reduces installation costs while increases the deployment flexibility. The ICA-4130S is ONVIF compliant and interoperable with other brands in the market. Moreover, the camera features 3-axis mechanical design for fast and easy adjustment of the camera’s viewing angle, allowing you to precisely position the camera. The ICA-4130S is indisputably the ideal choice for reliable and high performance surveillance. PLANET ICA-4130S is a highly cost-effective network camera designed for security monitoring. It provides clear identification of objects and people, so it perfectly satisfies surveillance needs from all aspects such as small businesses, boutiques, offices, communities, restaurants, hotels, residences, health care facilities, etc. Provided with individually configurable motion detection zones, the ICA-4130S can record video or trigger alarms and alerts when motion is detected in user-specified areas of the camera image. 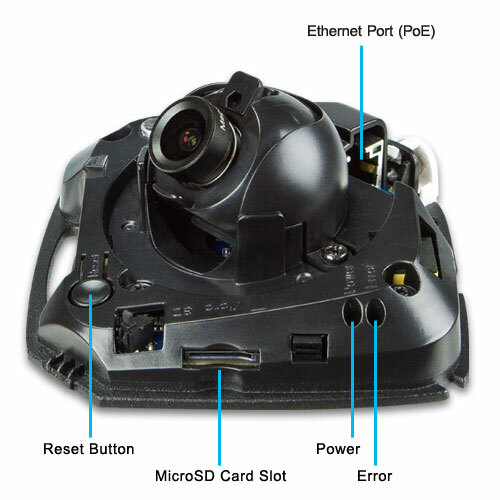 Also, its built-in microphone enables the system to capture the sound that is within camera’s surveillance range. The system will trigger the audio detection alarm when sounds like screams, glass breaking, etc. are detected.